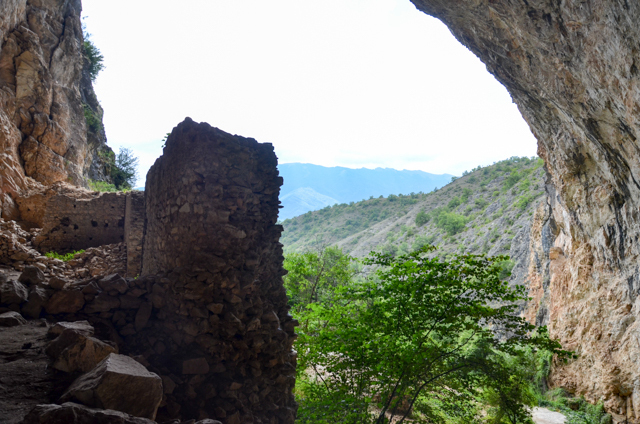 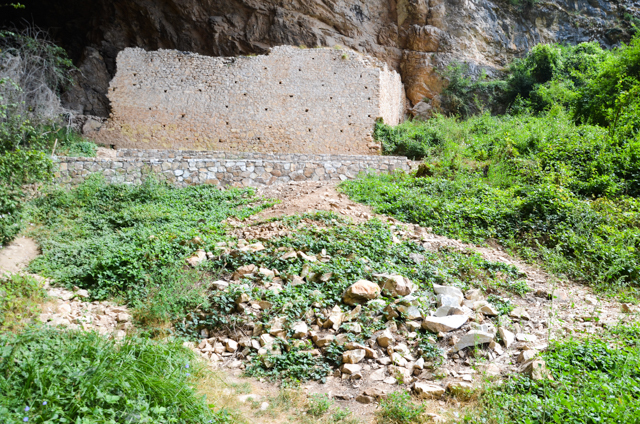 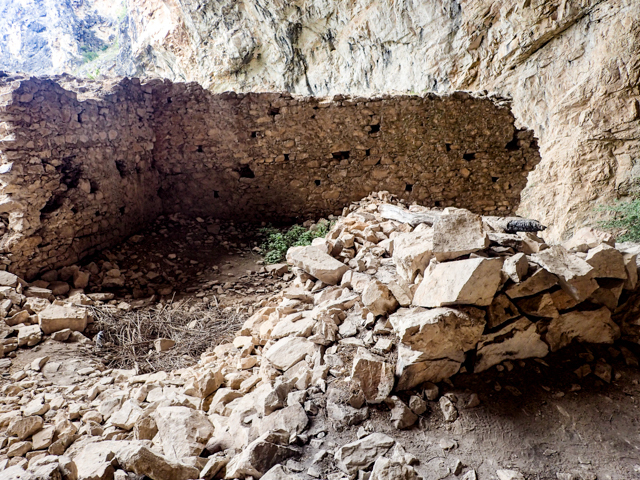 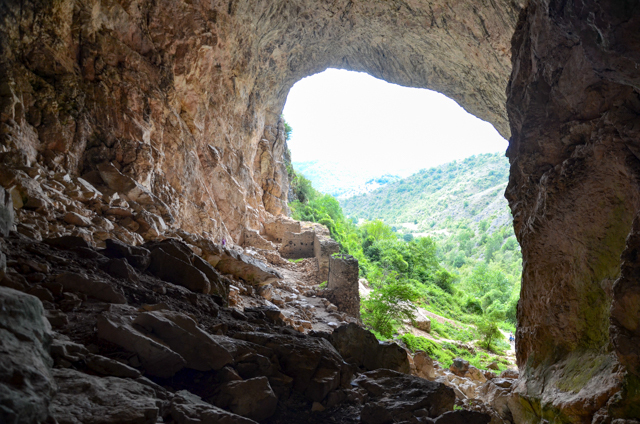 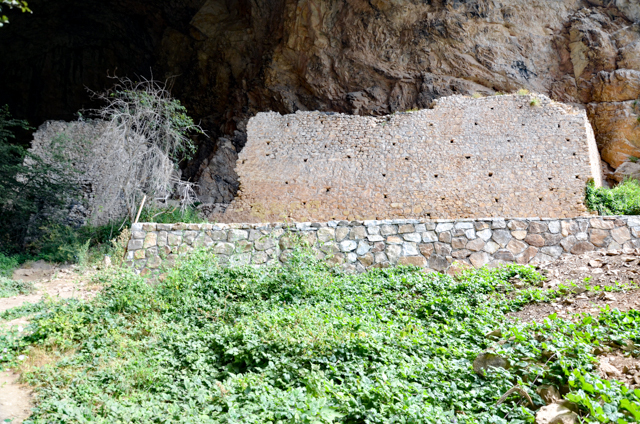 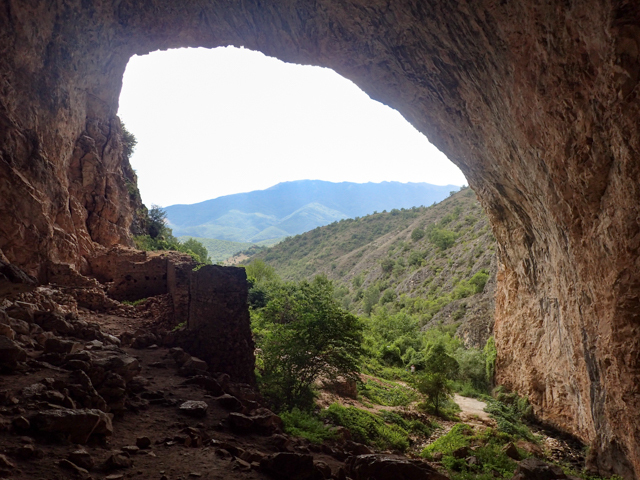 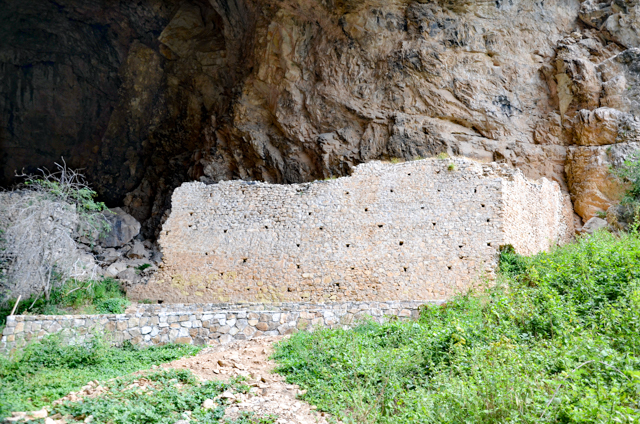 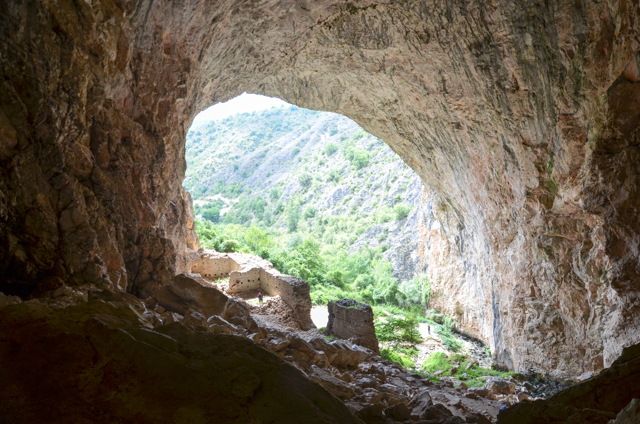 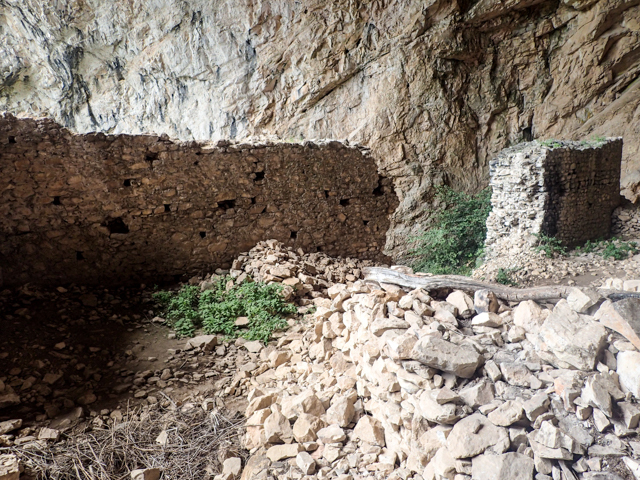 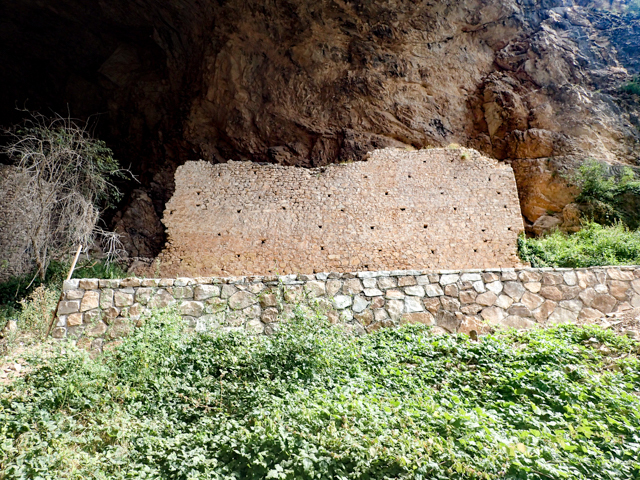 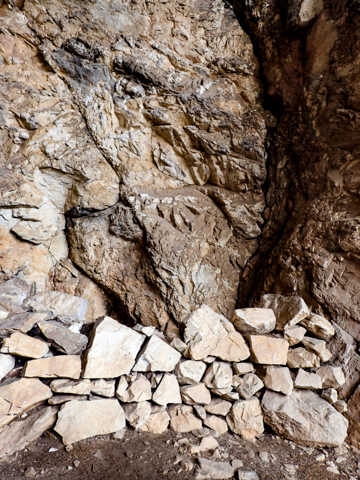 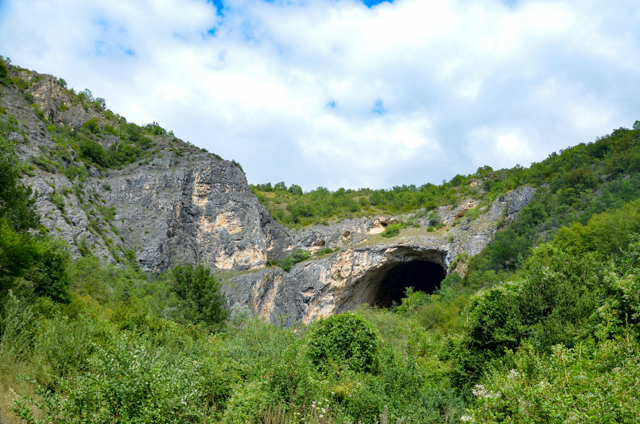 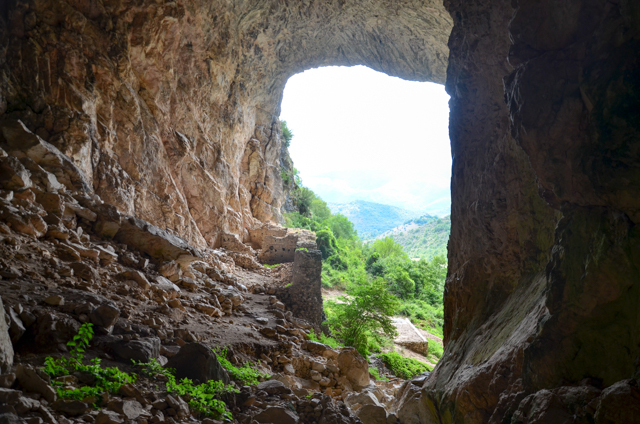 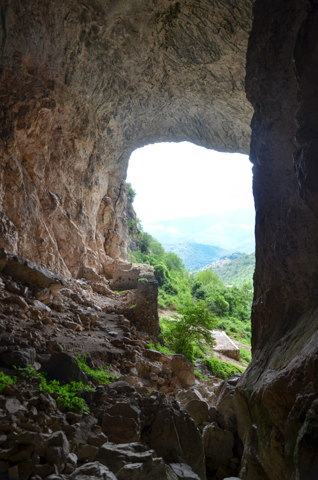 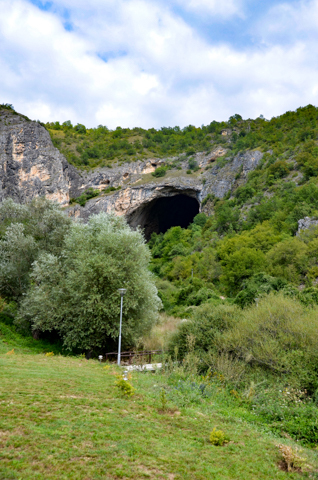 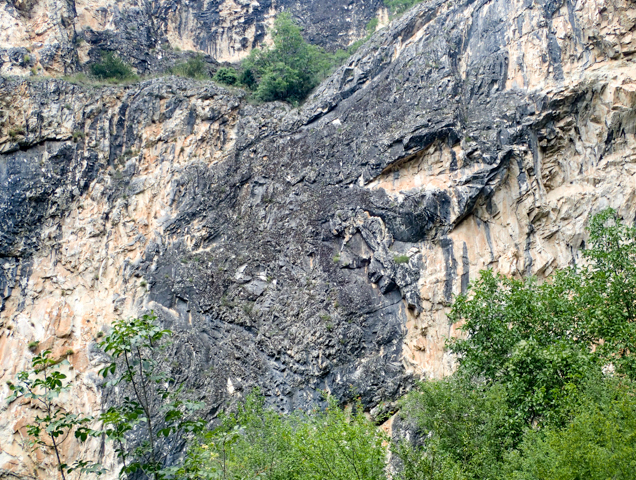 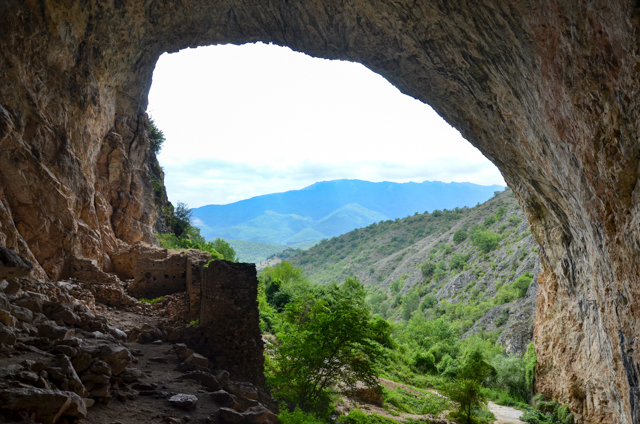 This cultural monument, cave of Peshna, is located about 7 kilometers North-Northeast of the town of Makedonski Brod in the Poreče region of central western Macedonia. 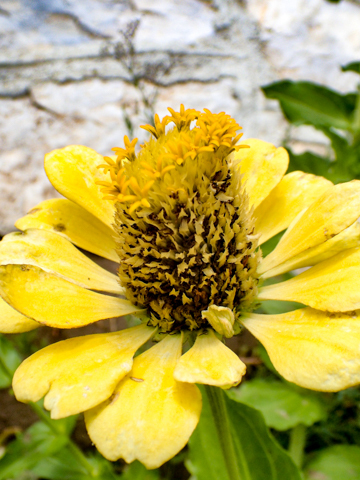 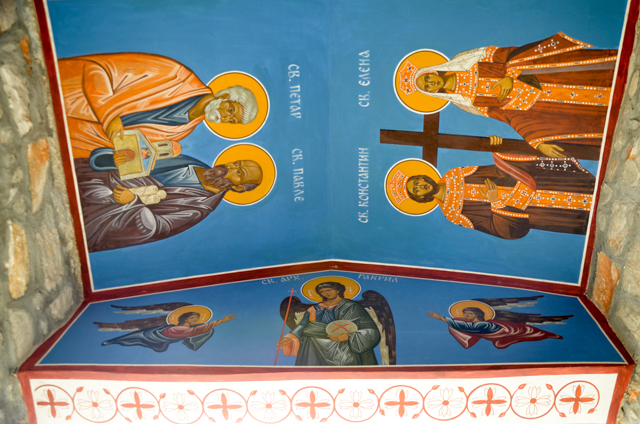 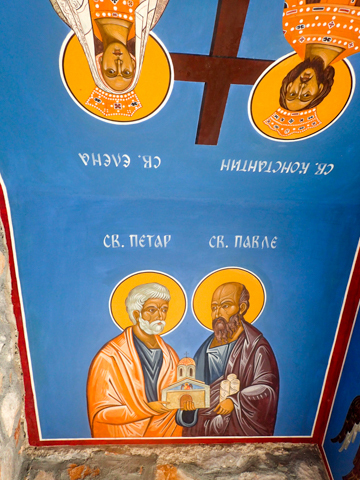 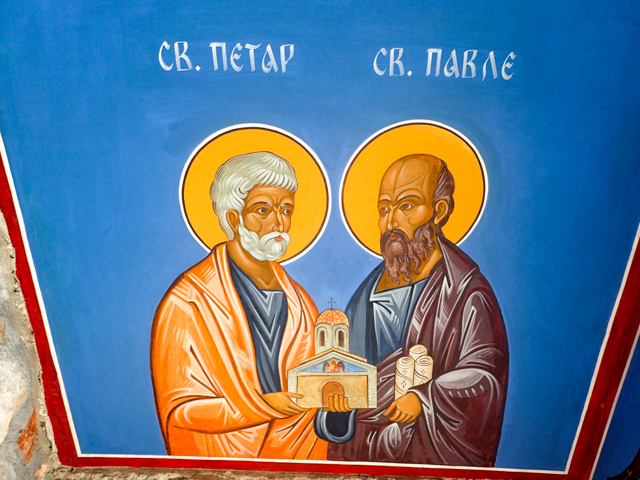 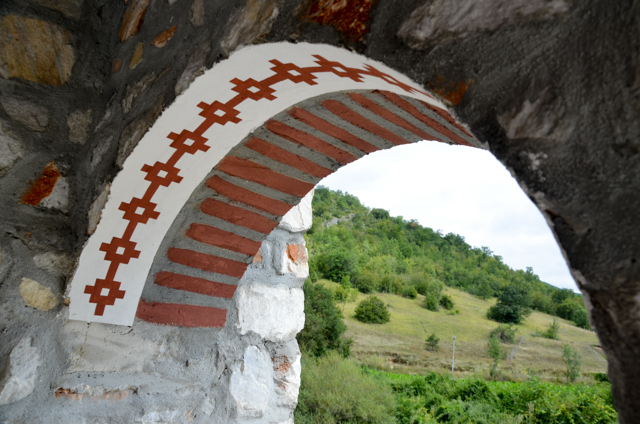 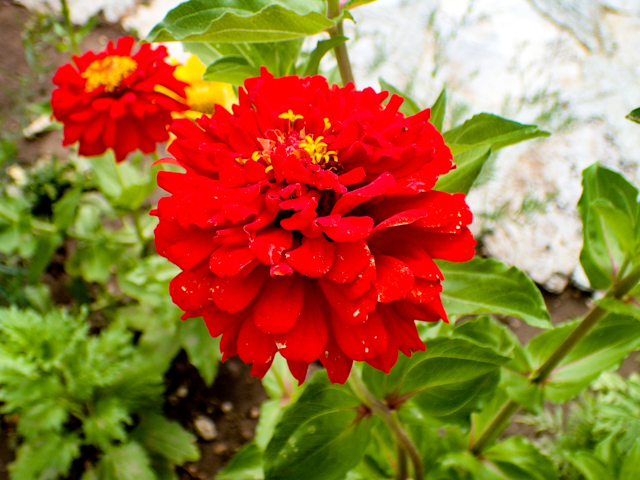 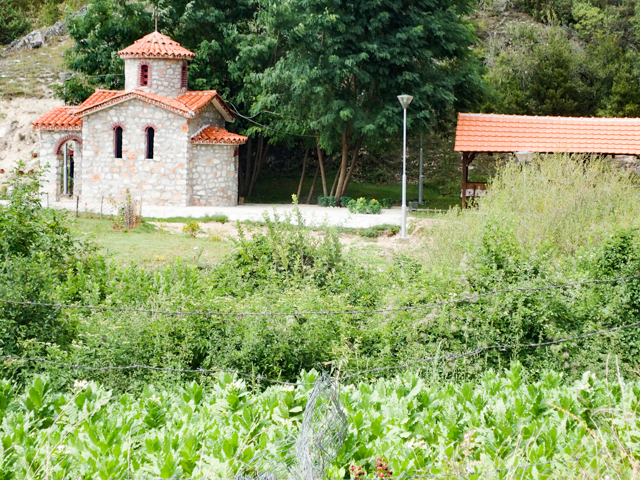 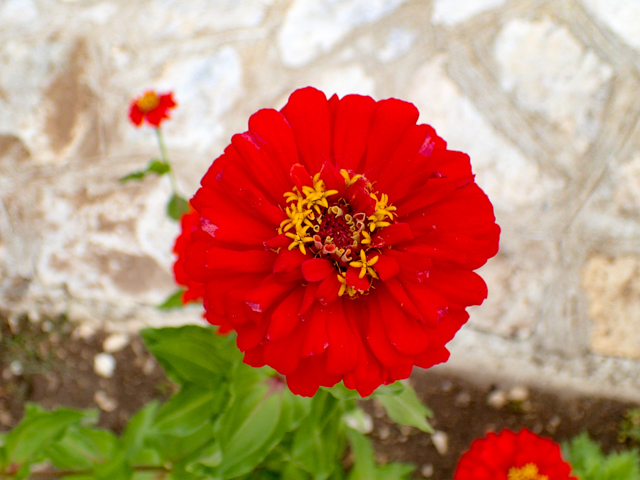 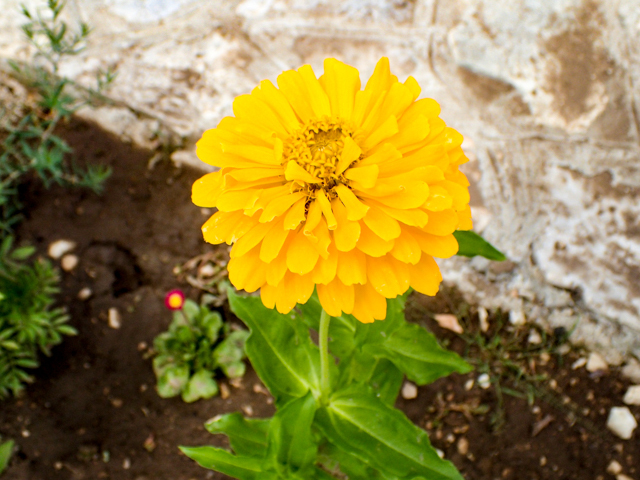 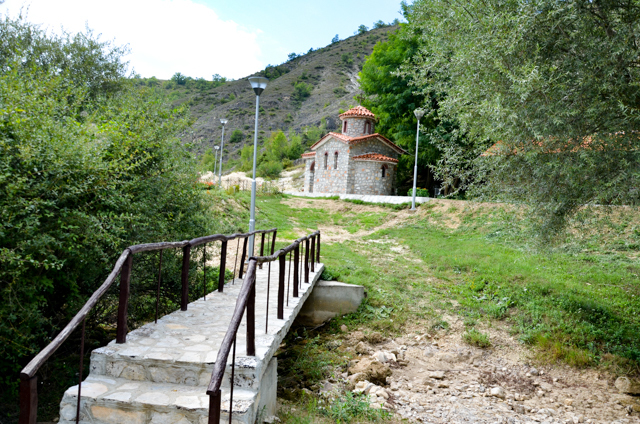 Makedonski Brod is 40 kilometers, about a 43 minute drive northwest of the city of Prilep. 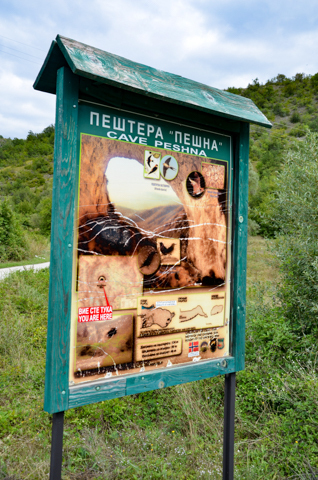 As you are driving north of Makedonski Brod, the exit to the cave will be on your right and the Treska river will be on your left. 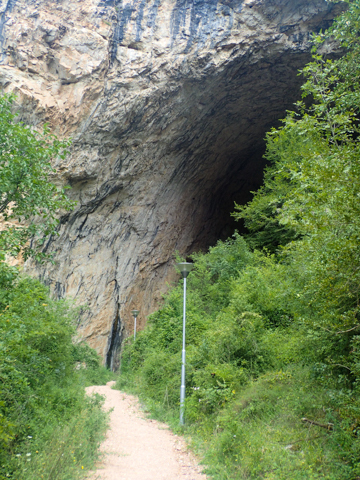 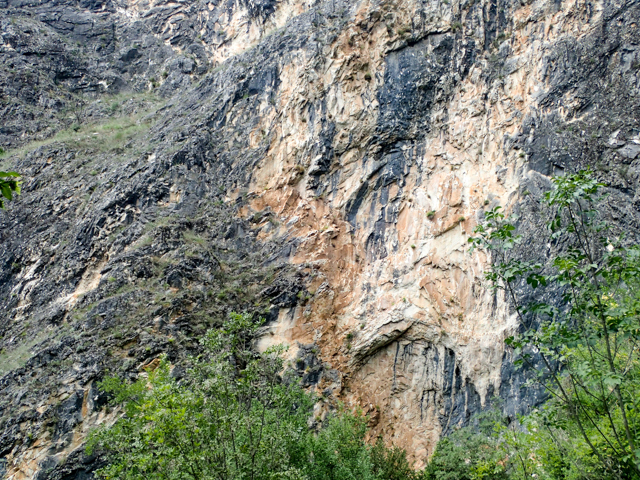 You can park very close to the cave entrance and there is a well-marked and maintained trail that leads you to the cave, a short walk of a couple hundred meters. 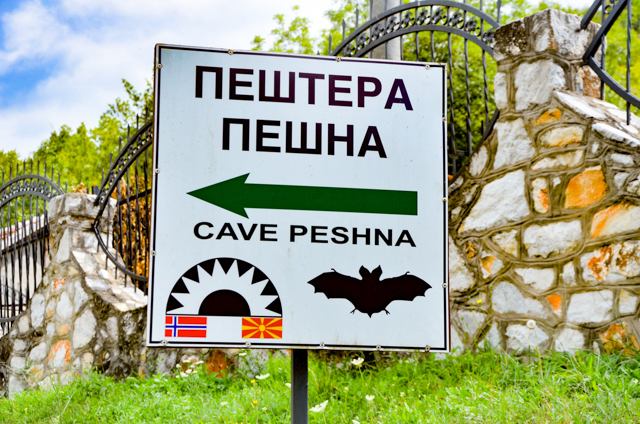 You will also notice that the signs warn you that the cave is inhabited by bats. 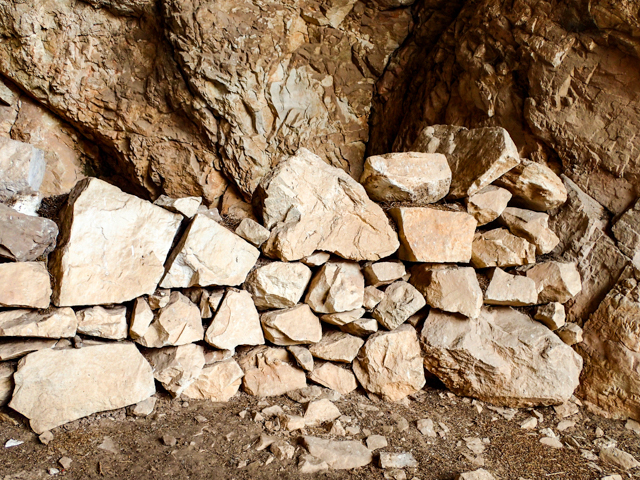 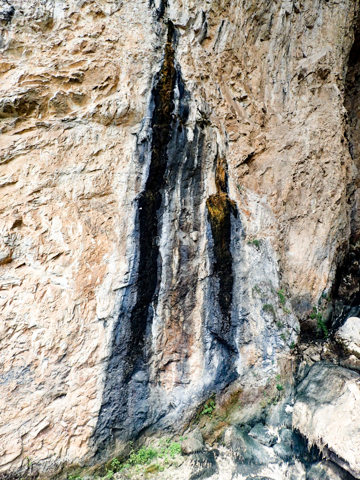 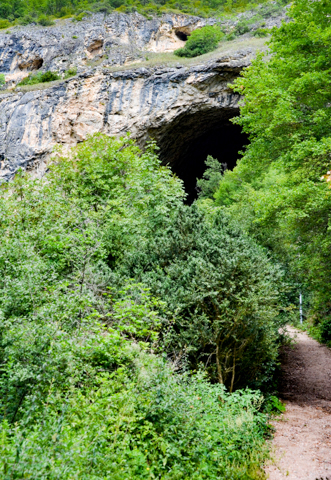 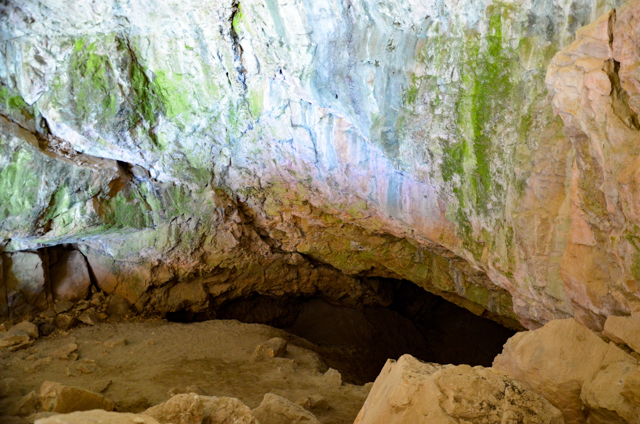 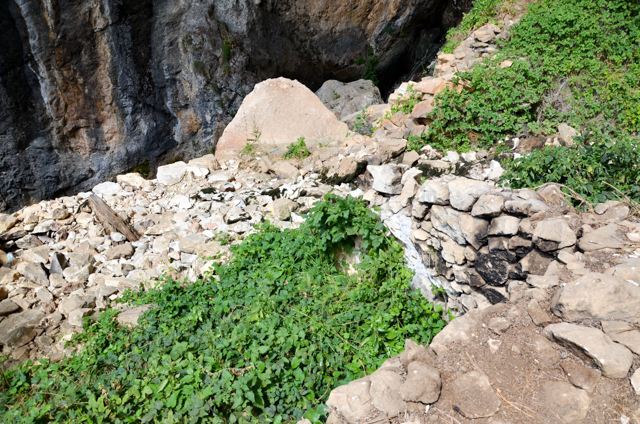 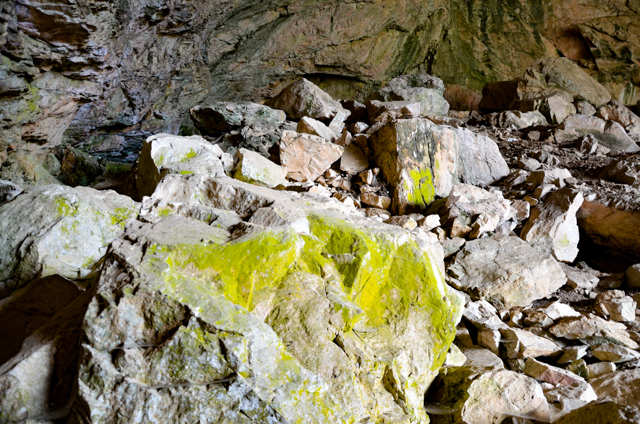 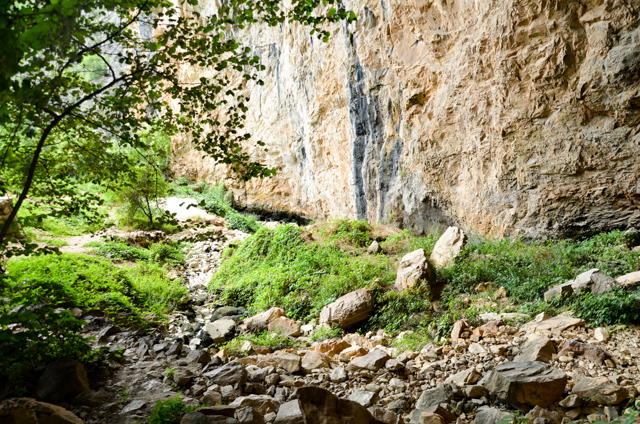 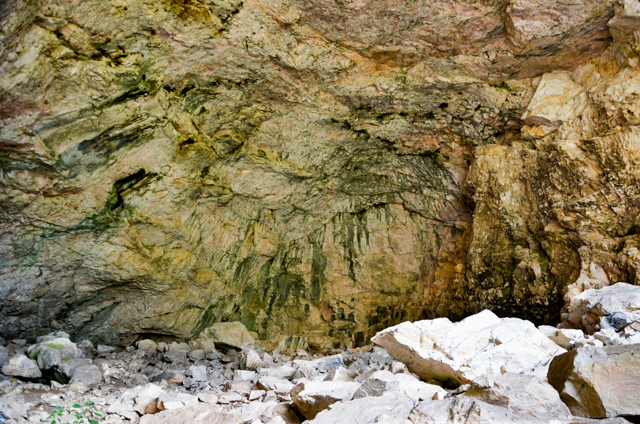 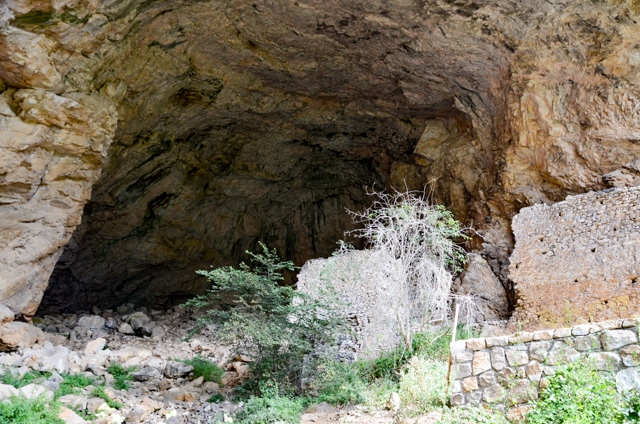 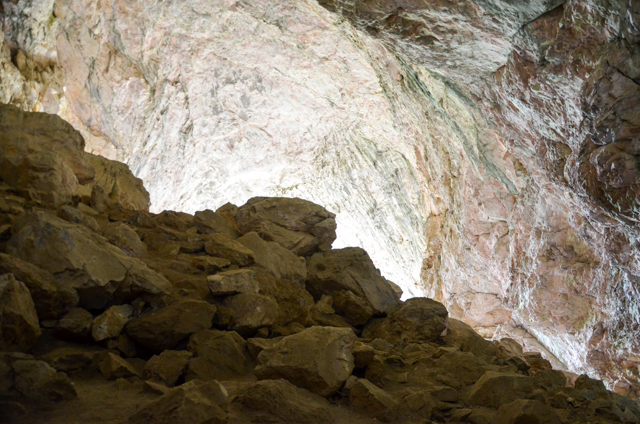 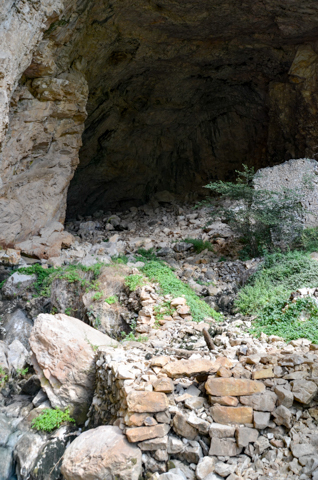 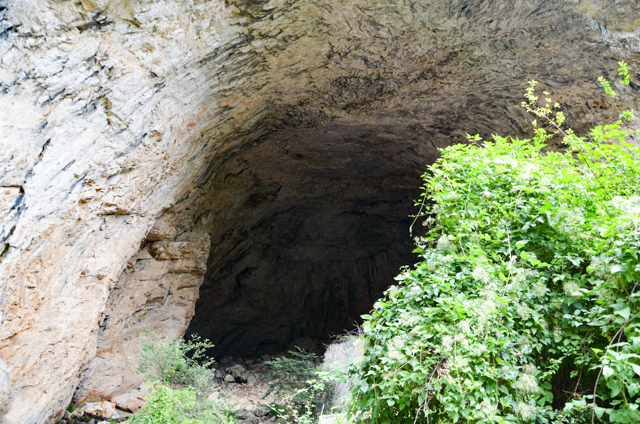 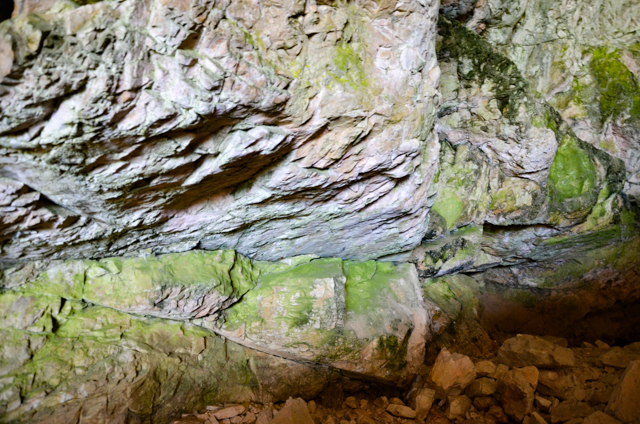 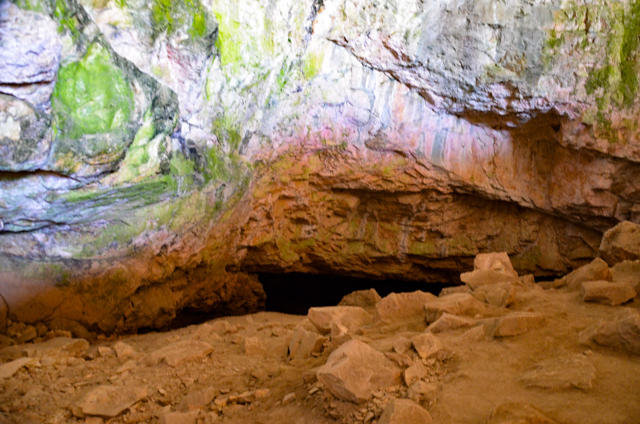 Due to the large size of the cave, trekking though the cave during daylight with children should not be an issue. 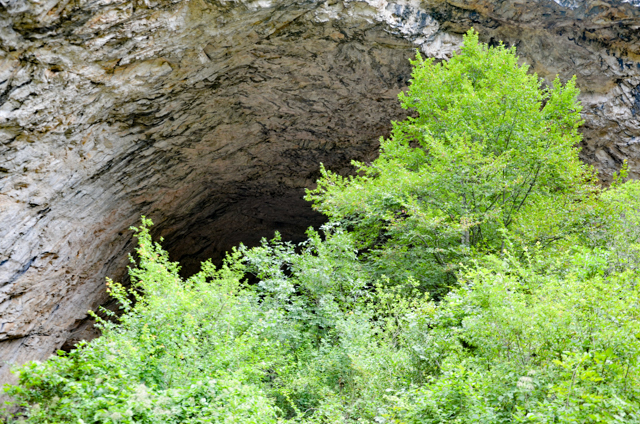 The sign at the parking area states that the height of the cave’s opening is 40 meters (131 feet) and the width of the opening is 56 meters (184 feet). 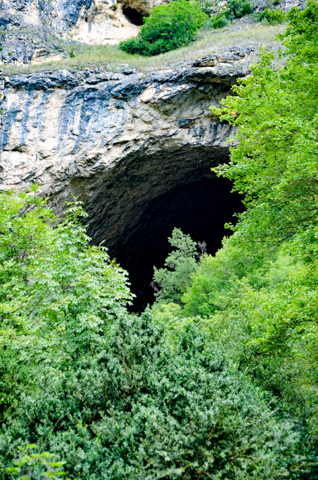 The length of the cave is 124 meters (407 feet. 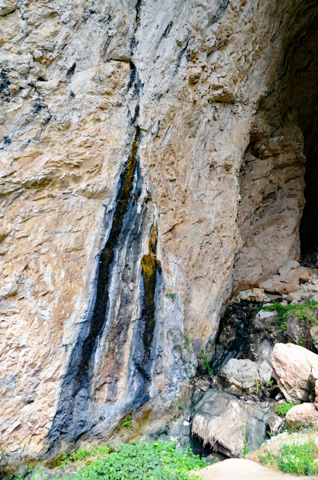 During the spring thaw and the snow melt-off, a little creek will emerge from the back of the cave and make its way through the opening. 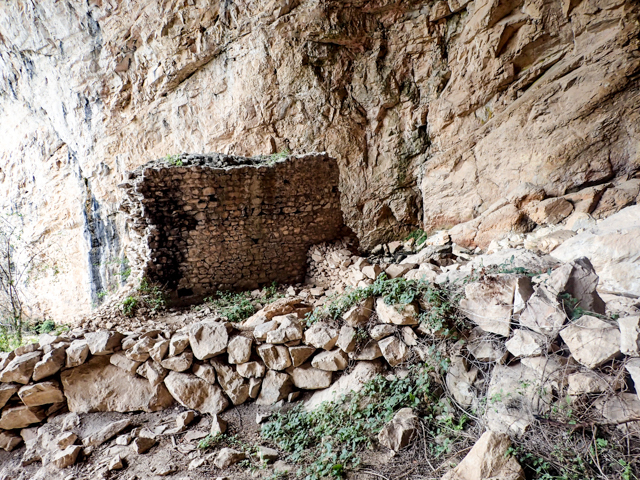 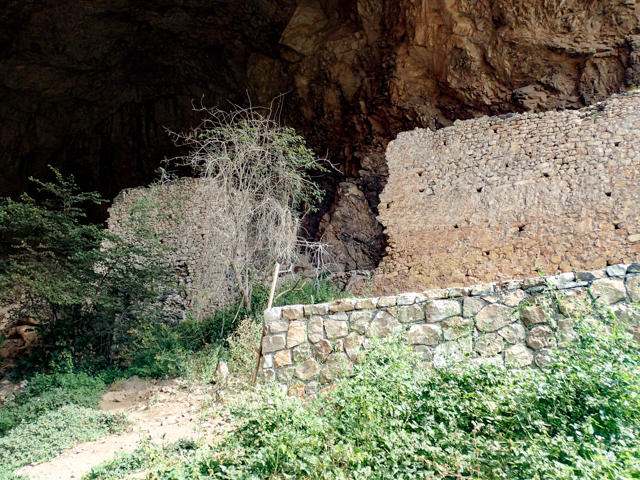 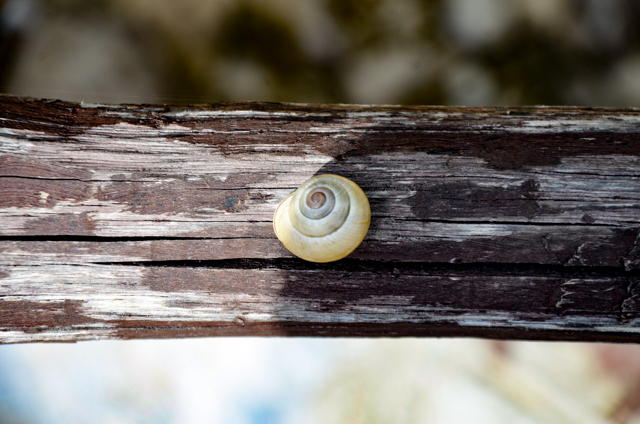 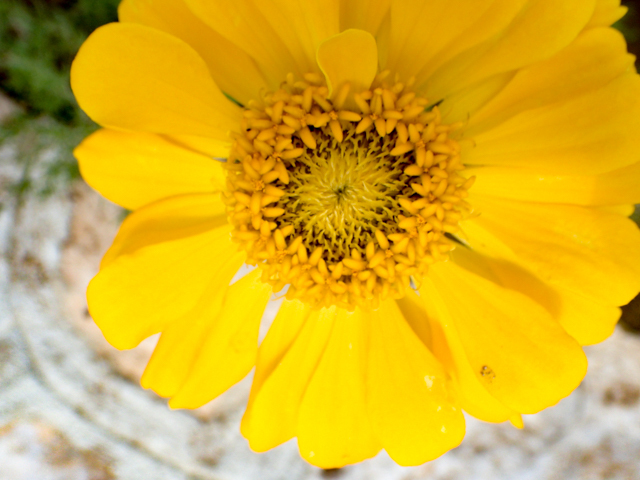 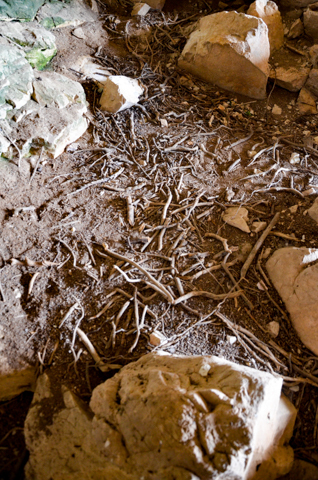 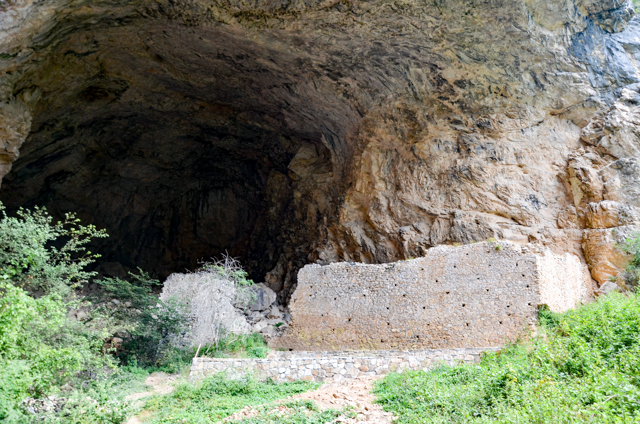 A nice bonus to visiting the cave is the medieval fortress situated at the mouth of the cave. 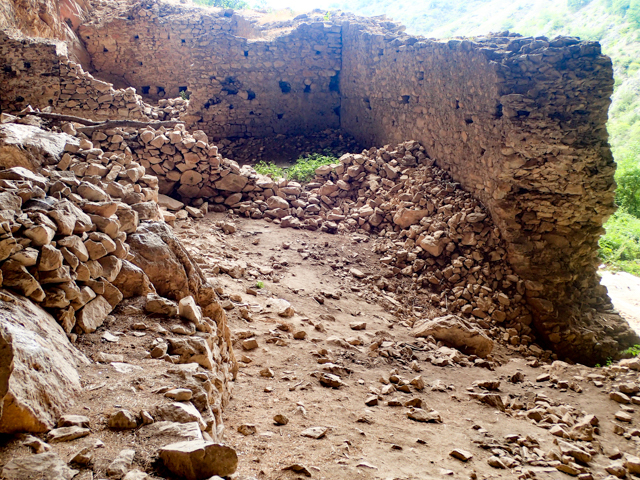 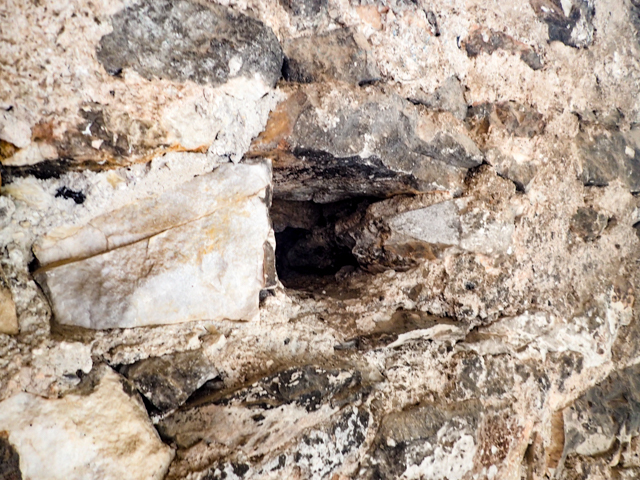 In the third gallery below, you can see how thick the walls were constructed as well as plenty of strategically placed openings for shooting arrows. 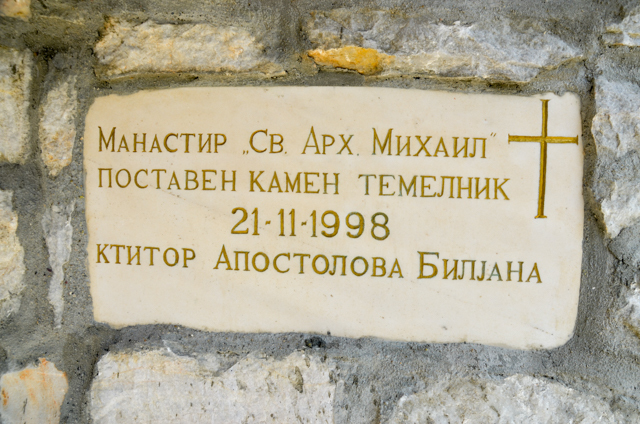 The legend of King Marko’s sisters. 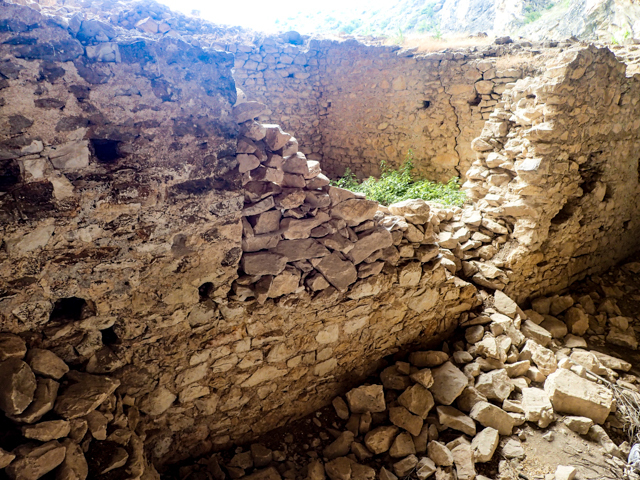 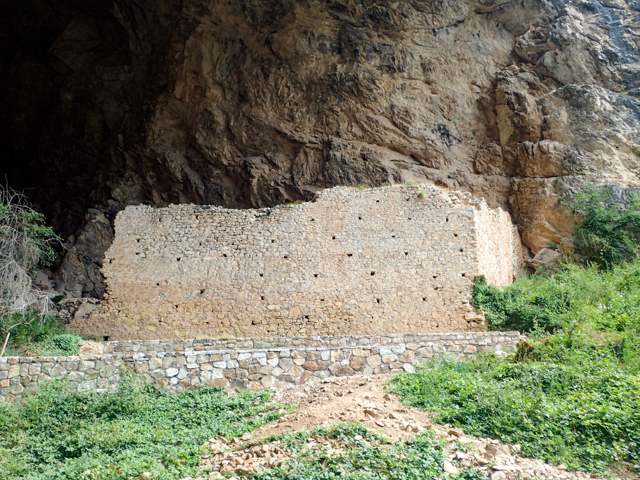 You are probably aware of King Marko’s fortress is in the vicinity and overlooks the city of Prilep. 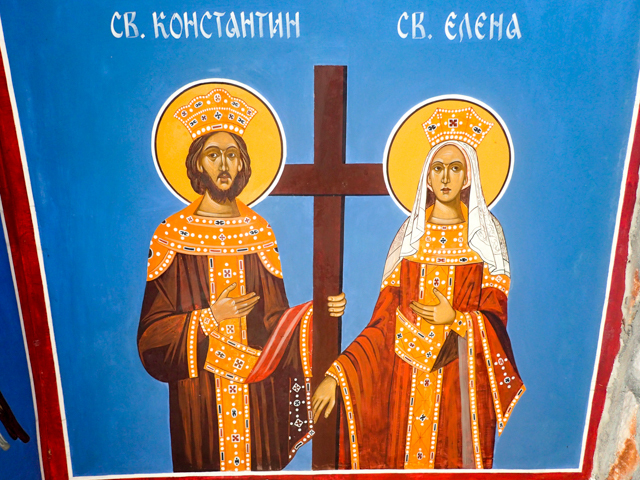 King Marko had four sisters: Deva, Peshna, Kita and Svezda. 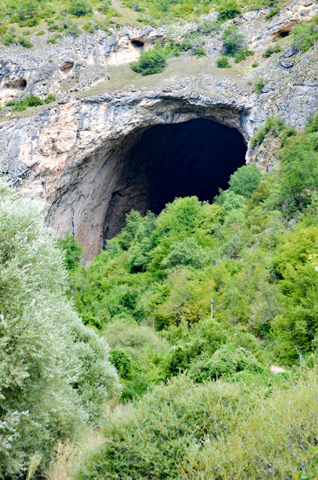 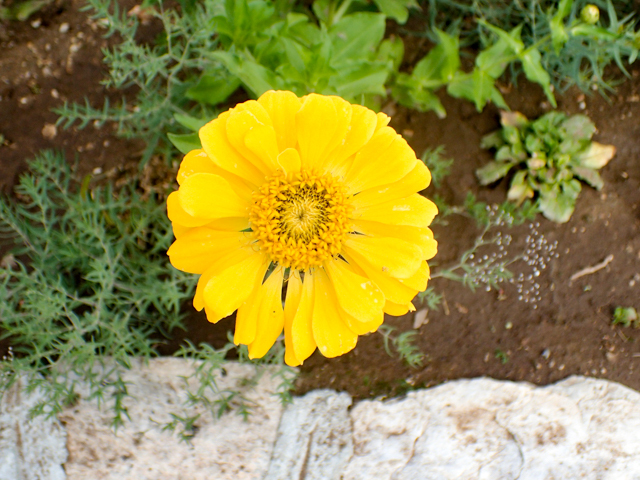 The legend states that King Marko’s two older sisters, Deva and Peshna, lived in this area. 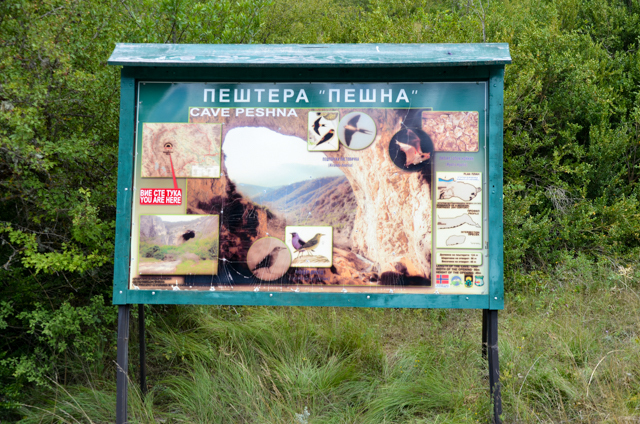 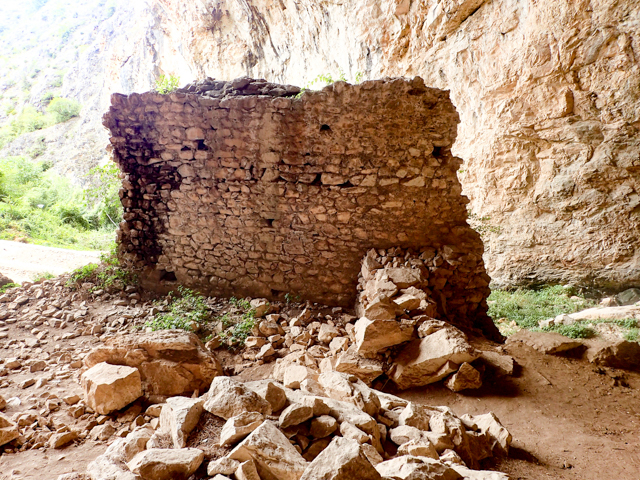 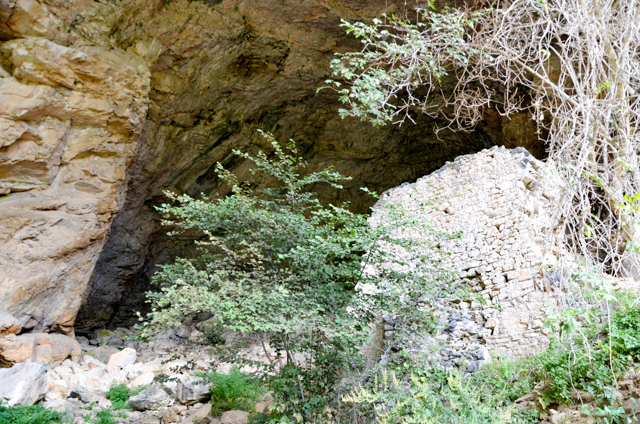 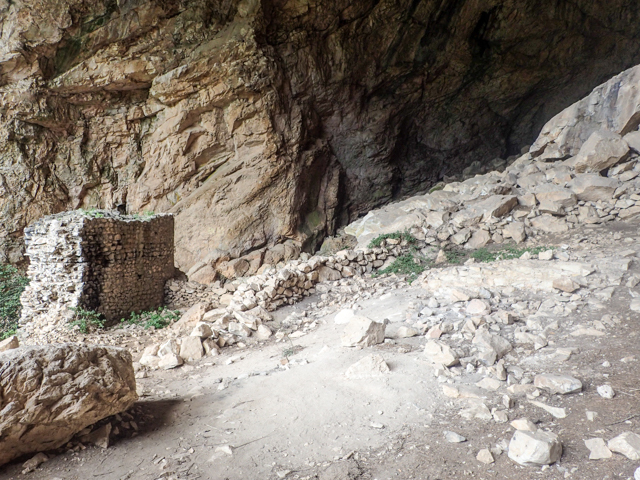 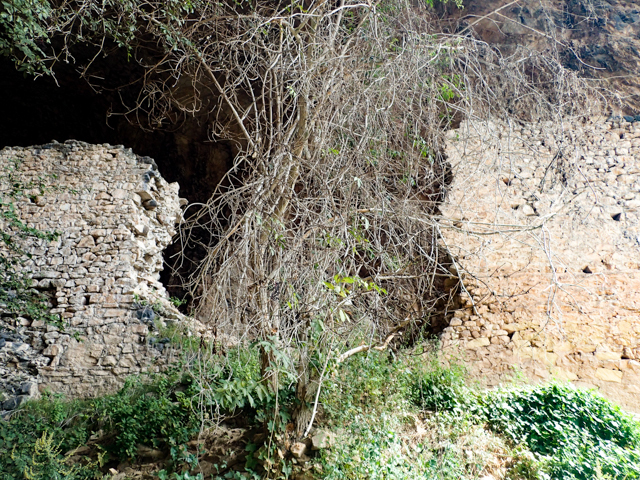 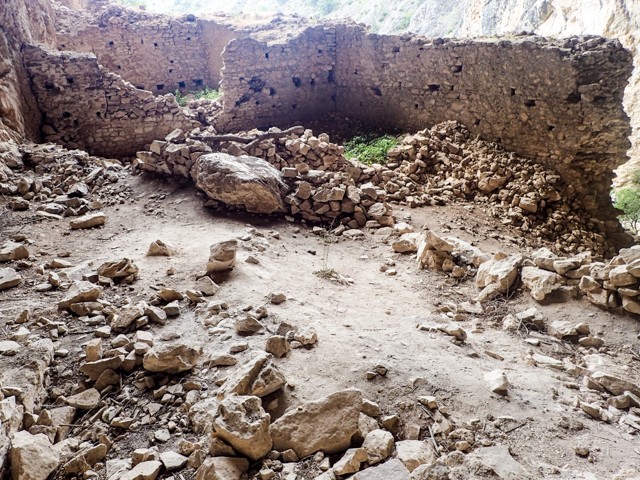 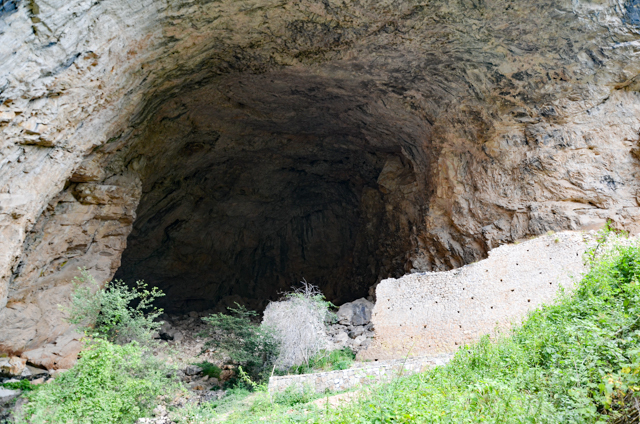 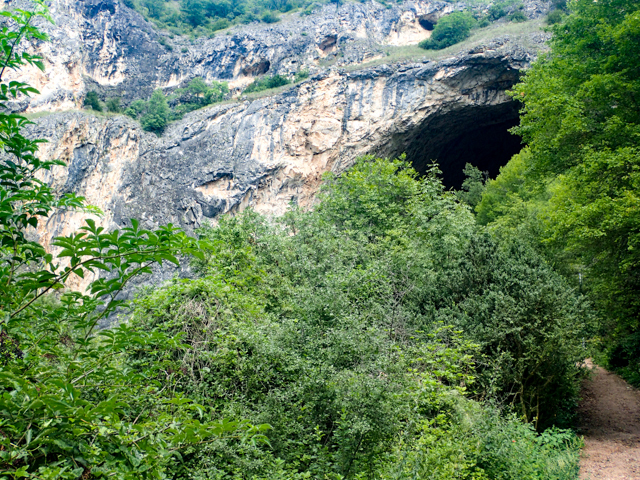 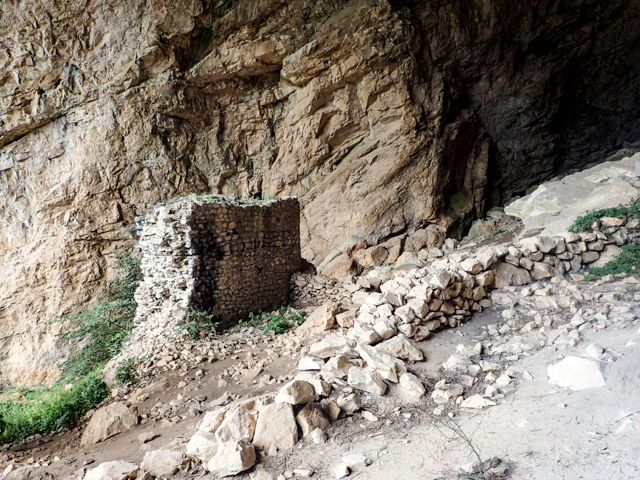 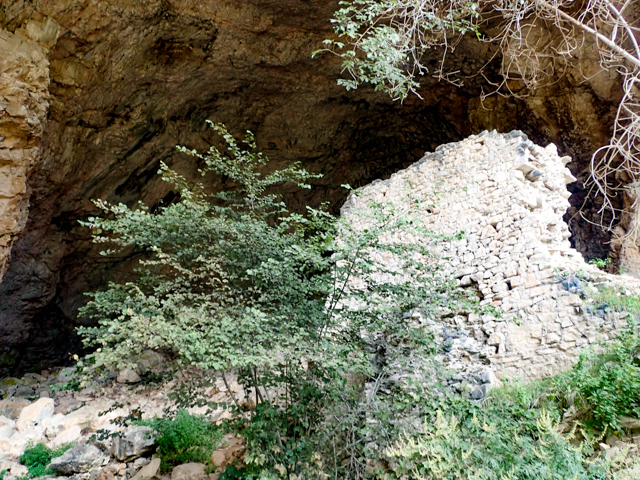 Deva lived at Devini Kuli (Deva’s Towers) and Peshna lived at a home (fortress) built in this cave Peshna Peshtera (Peshna’s Cave). 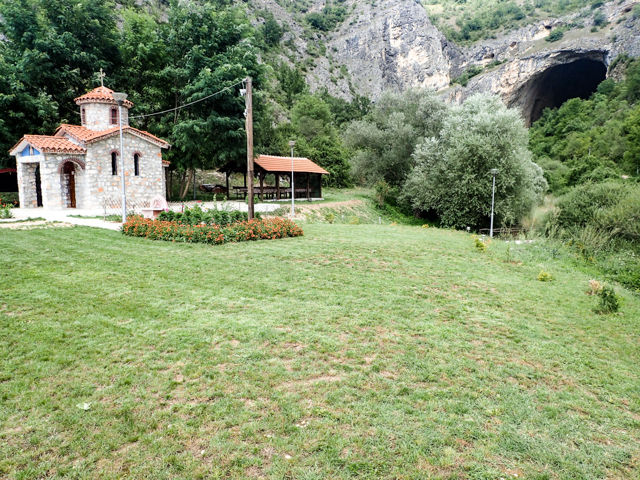 Both residences are separated by the Treska river. 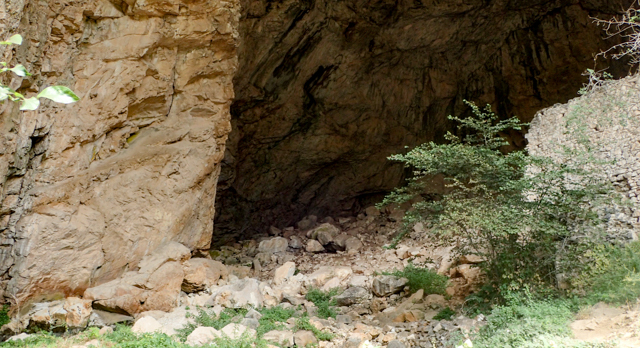 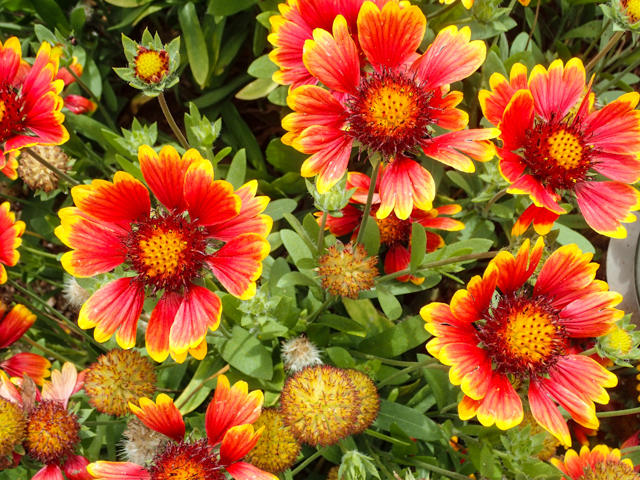 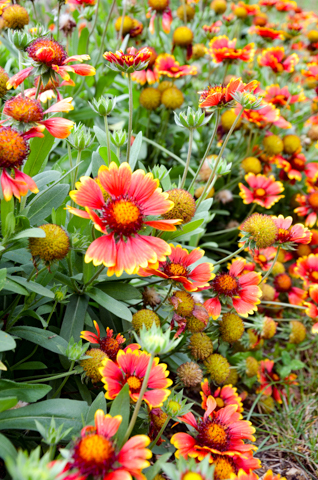 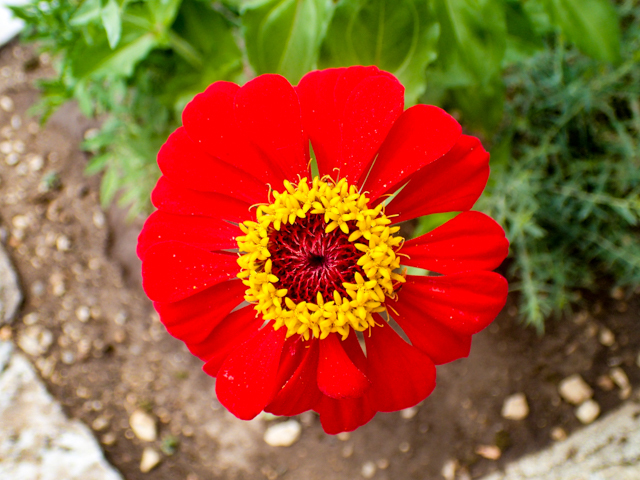 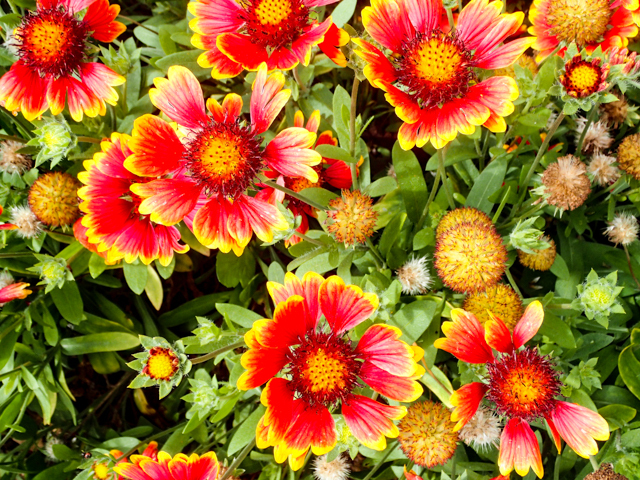 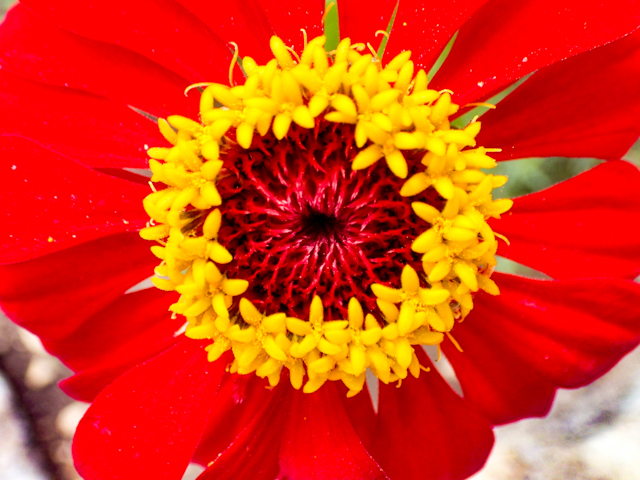 The legend also purports that Peshna could communicate with her sister Deva by making echoes in the cave. 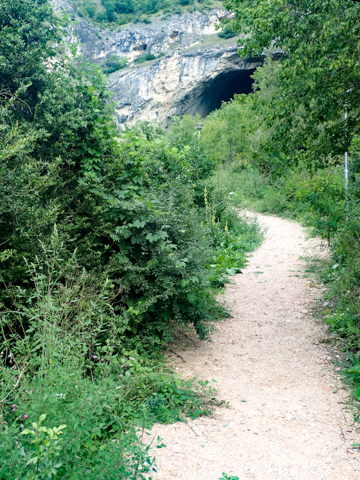 Dobro jutro jutro ro ro ro o o o o. 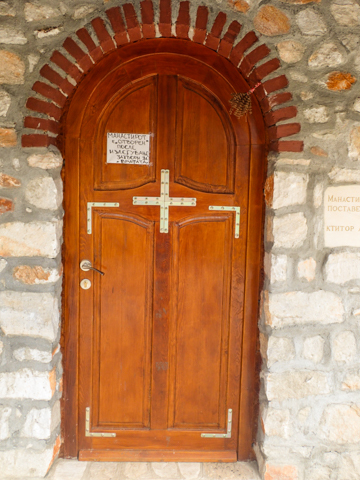 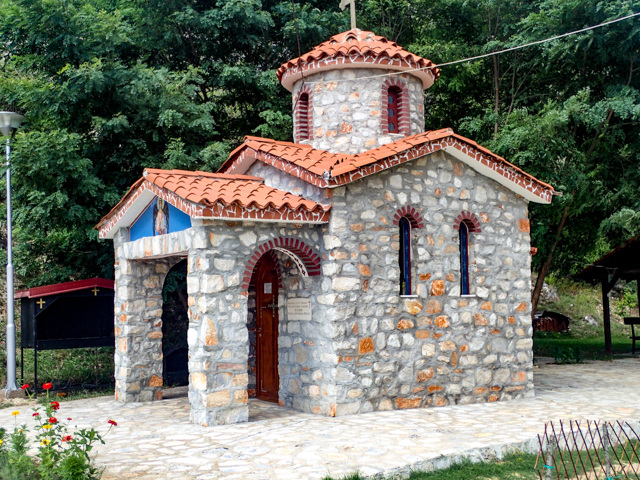 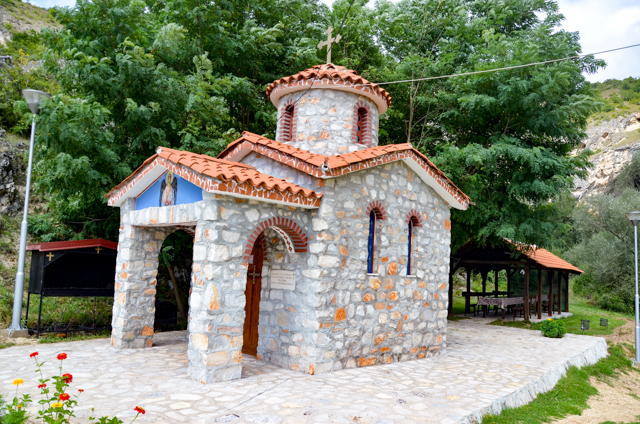 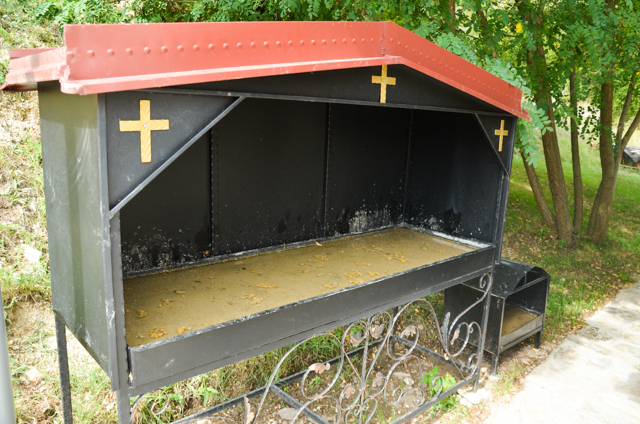 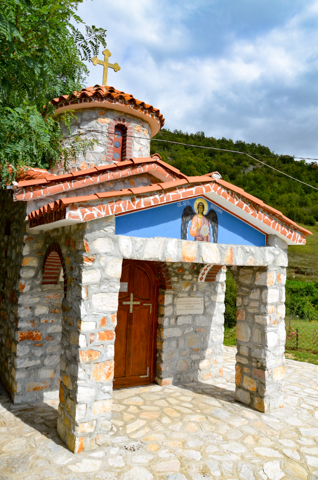 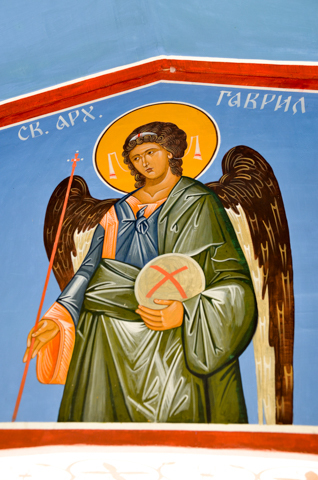 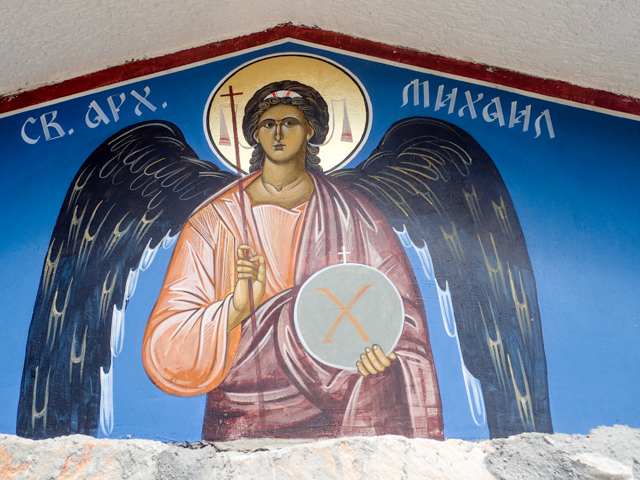 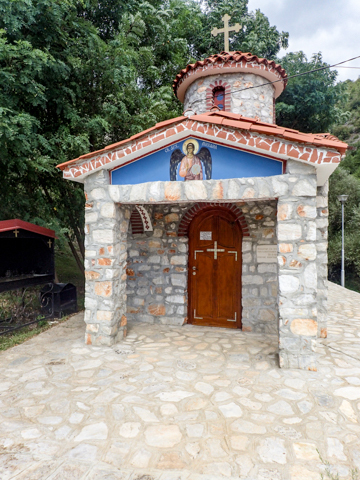 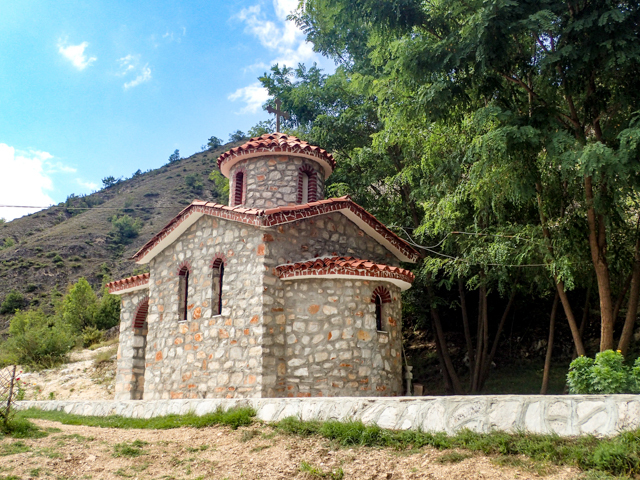 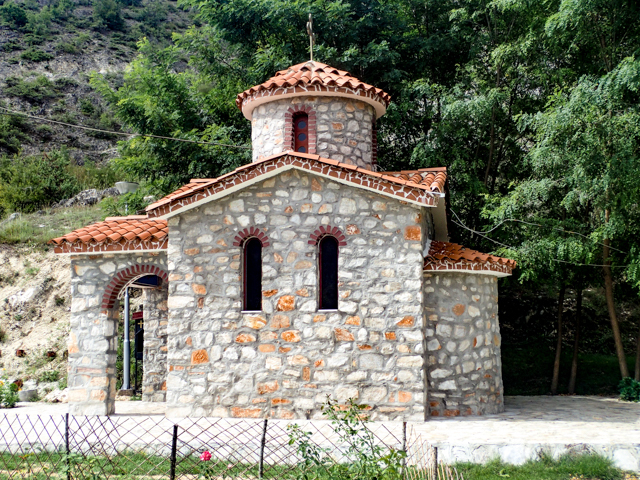 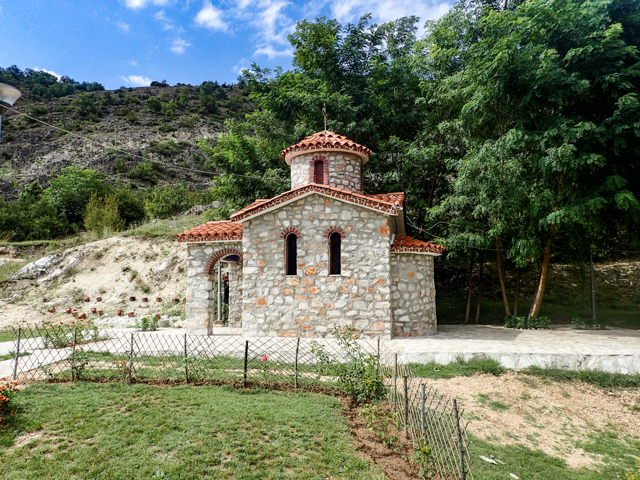 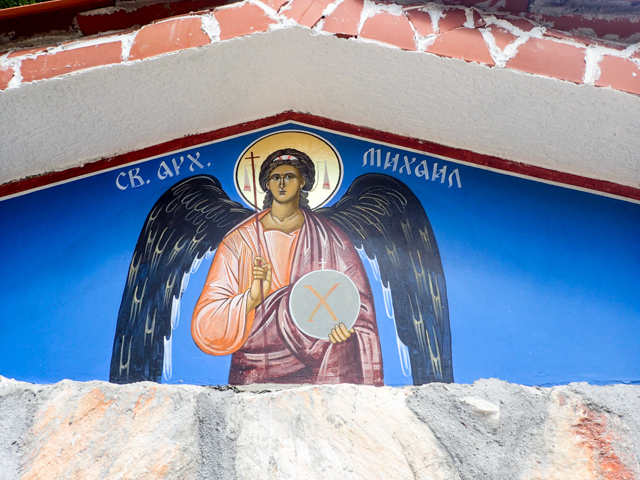 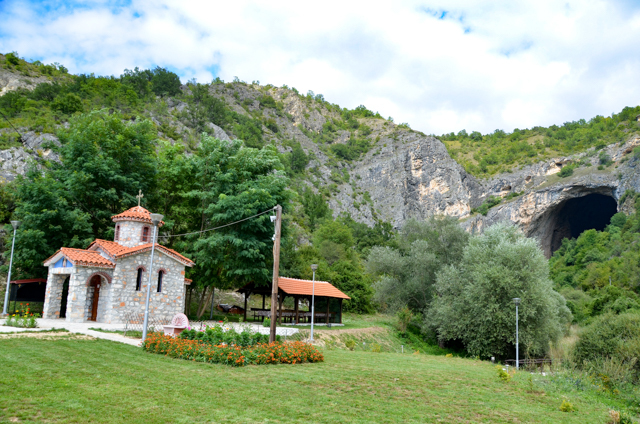 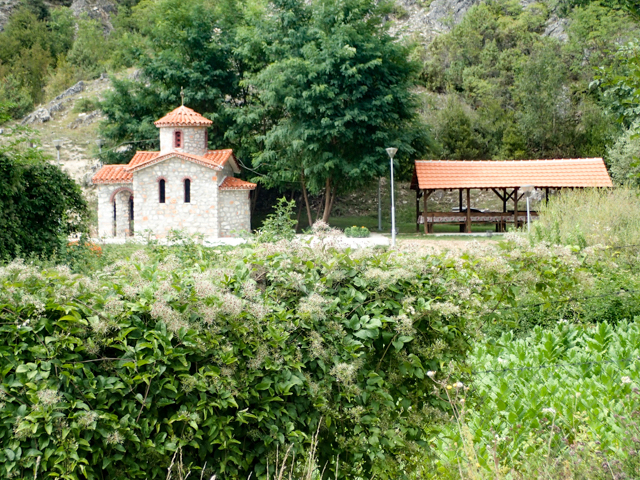 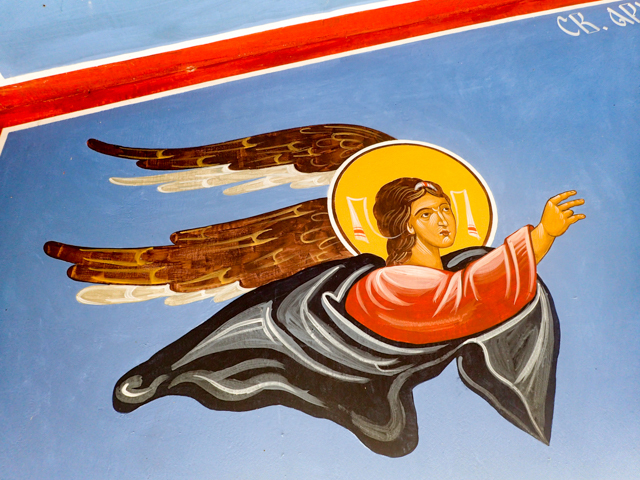 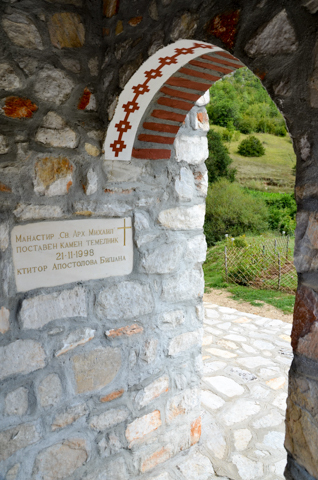 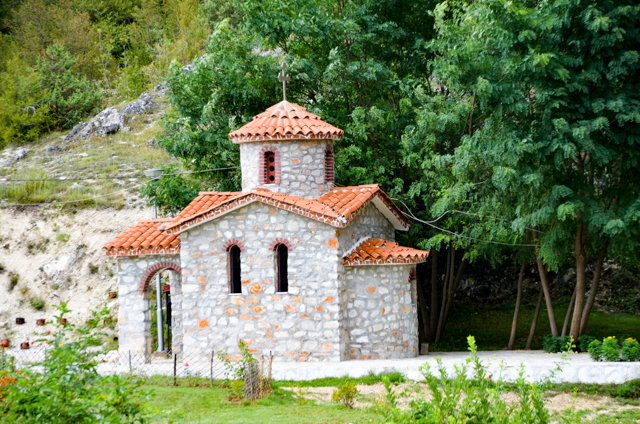 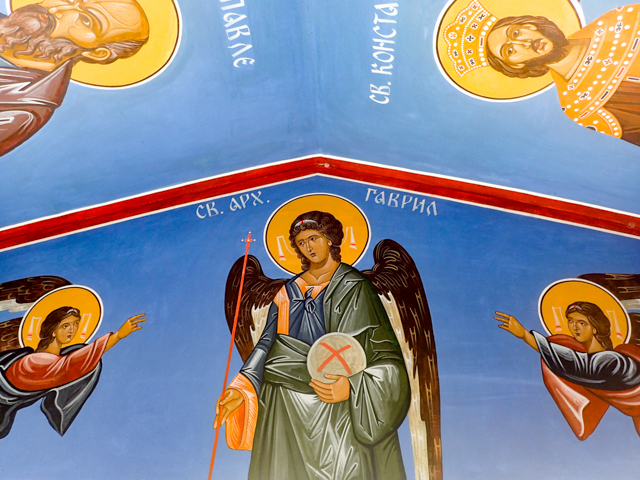 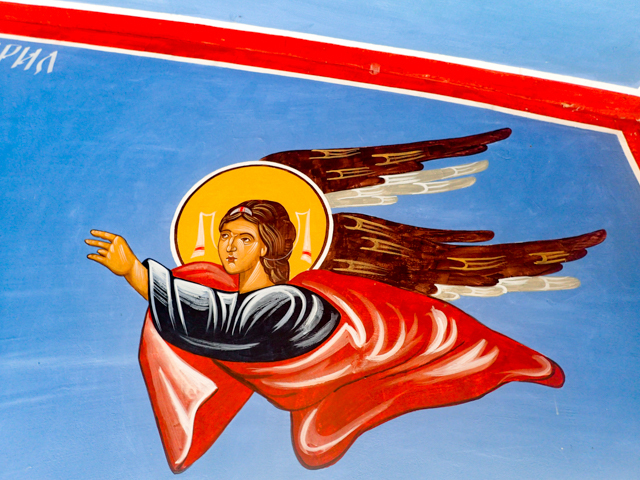 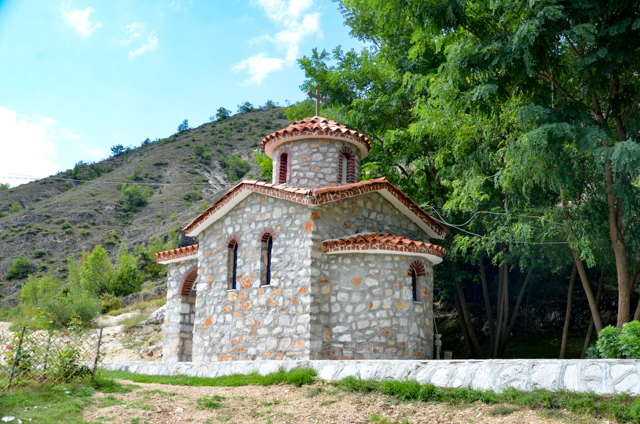 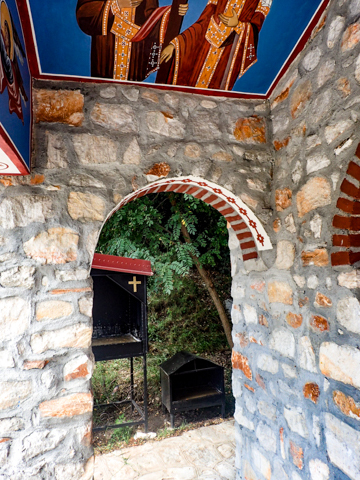 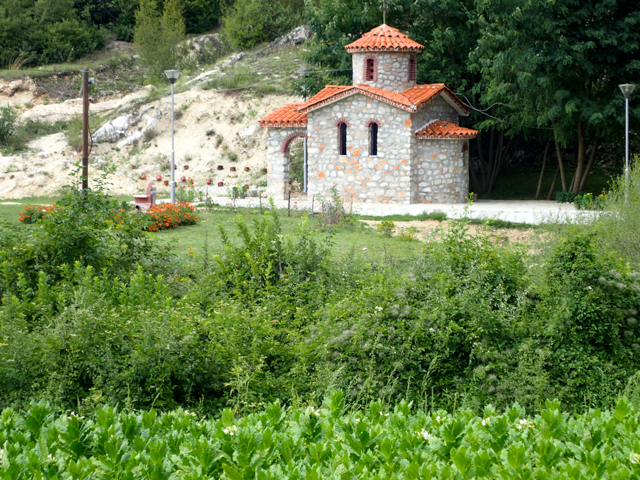 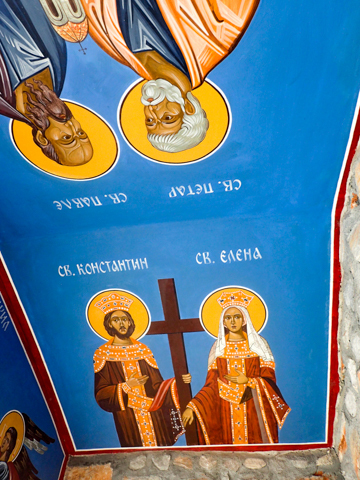 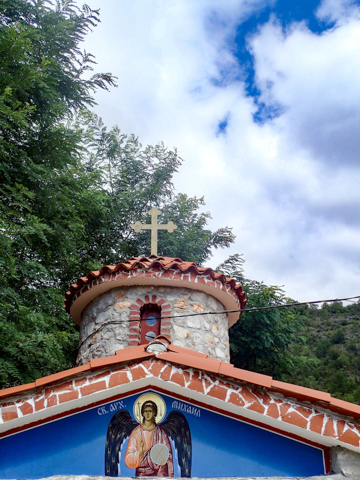 A few hundred meters from the mouth of the cave and very close to the parking area is the newly constructed chapel dedicated to the Archangel Michael. 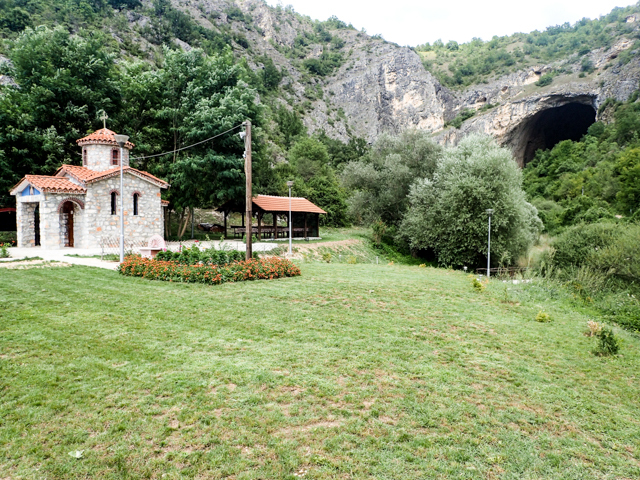 The covered picnic table among the trees and landscaping with the cave in the background provides a great location for picnicking with family and friends.